Approx. 75 seeds per packet. The beefsteak is considered America's favorite slicer for a reason! 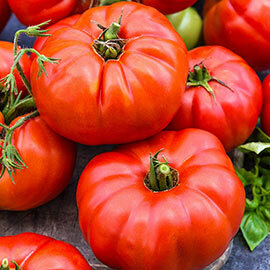 This old-fashioned heirloom variety yields big, meaty 2-lb. fruits with rich, full flavor and low acid. The flavor is best when left to ripen on the vine and is perfect for slicing to eat fresh or add to sandwiches and salads. Vigorous vines continue to grow all season until the first killing frost. Indeterminate. 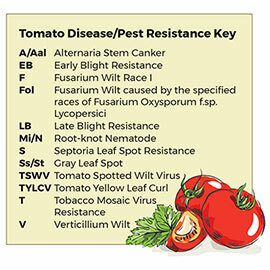 Disease resistance: VF. 75 days to maturity. Soil Preference: Deep, rich, well-drained soil.